High-quality windows add style to any architectural design and provide energy efficiency and maintenance-free beauty to a home. 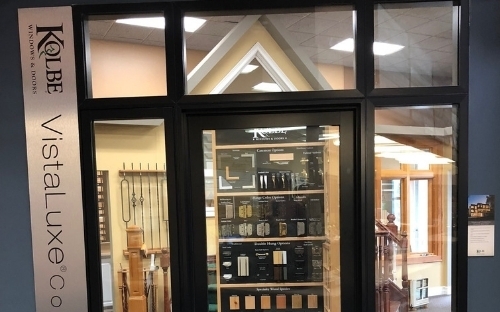 We offer a broad choice of Andersen, Kolbe & Windsor wood or vinyl windows in many different colors and styles, including casement, awning, double-hung and slider. High-tech extruded aluminum cladding provides popular wood windows with lower maintenance requirements and greater durability without sacrificing aesthetic details. The 400 Series- Time Tested, Classic Wood Craftsmanship. The 200 Series- Warmth of Wood at an Uncommon Value. The 100 Series- The Smart Alternative to Vinyl. Our budget-friendly 100 Series is engineered with Fibrex® composite material for durability, sustainability and energy-efficiency. 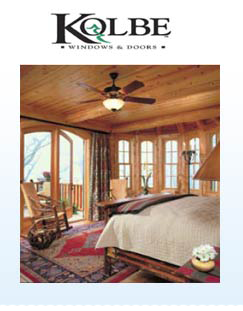 It's twice as strong as vinyl and provides low-maintenance exteriors with clean corners for a refined look. Velux roof windows and skylights can add daylight to your home environment. They are specially engineered to protect against the elements without obstructing your roofline profile. The high-efficiency design can cut your energy costs and carbon footprint dramatically. The low-maintenance construction fits well with a busy lifestyle. 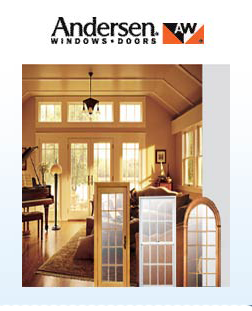 And with the best warranty in the business, ModernView Windows are guaranteed to work beautifully for decades. We provide a high level of service for our customers to ensure their complete satisfaction.